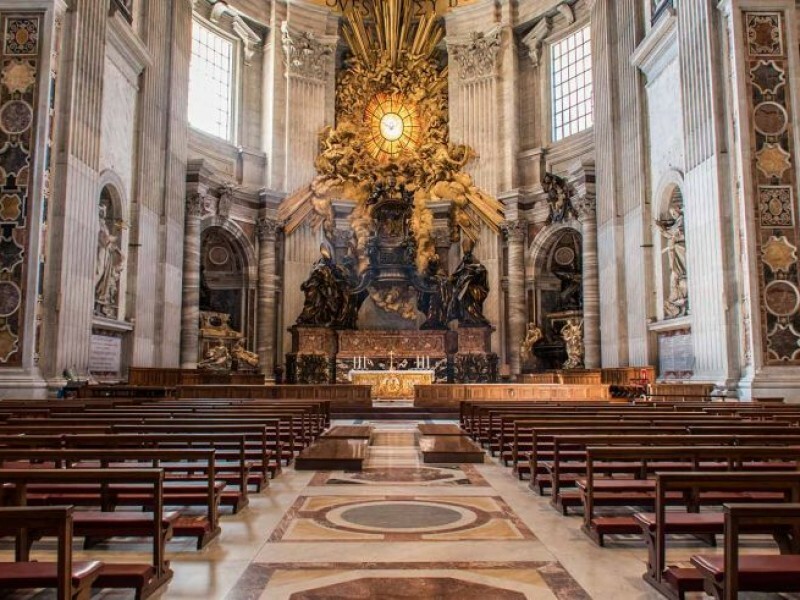 A true luxury designed by you, during your 5-hour Vatican Tour, our expert guide will focus on exactly what interests you, offering hidden insights into the works and giving you the chance to ask all the questions you wish. With the VIP experience you will of course skip all the queues and be free to enjoy the beauty and innovation behind Michelangelo’s frescos. Marvel at the countless characters as you gaze up at the epic and world-famous ceiling, lovingly depicted in painstaking detail. Unlock the mysteries behind the works of the Renaissance masters before being taken directly to the Vatican Museums – naturally skipping all the lines, until you reach St. Peter’s basilica. Take an exclusive journey into the history of Christianity and be captivated by the rich repertoire of masterpieces on offer. Our tour of the Vatican is optimized to offer you you a VIP experience of the great masterpieces of the Sistine Chapel, the Pinacoteca, the Vatican Museums and Saint Peter's Basilica. There is only one route that brings you to the Sistine Chapel, passing through courtyards and palaces dense with history and studded with works of art. Don't rush through them like a stranger; enjoy them in all their splendour. Whoever explores the Sistine Chapel through the eyes of Michelangelo, whoever reads in it his thoughts and sentiments, encounters a genius. 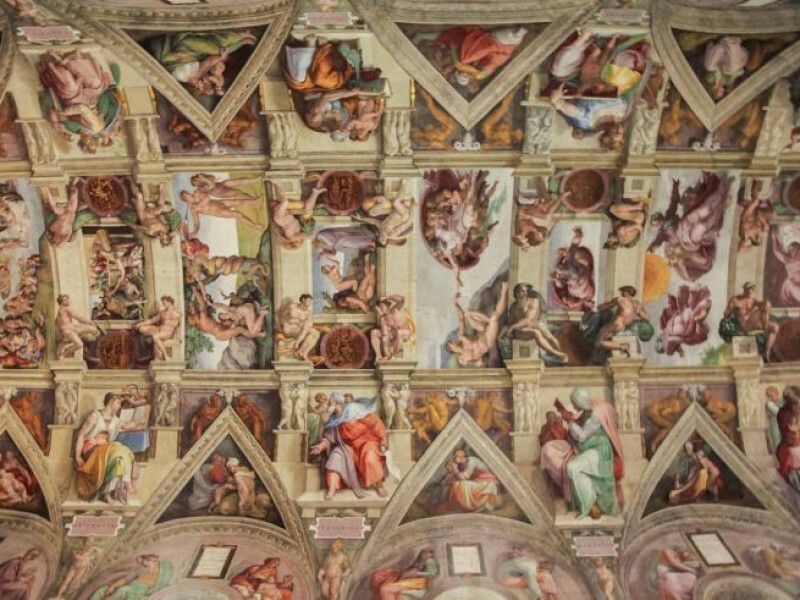 Who he was, how he lived and what he thoughs, are some of the themes of our Vatican Museums and Sistine Chapel guide tour. Our guides will accompany you into the great building projects of the Italian Renaissance and together we will relive the environment of the Florentine Renaissance and the Papal court in Rome in which Michelangelo created his masterpieces. 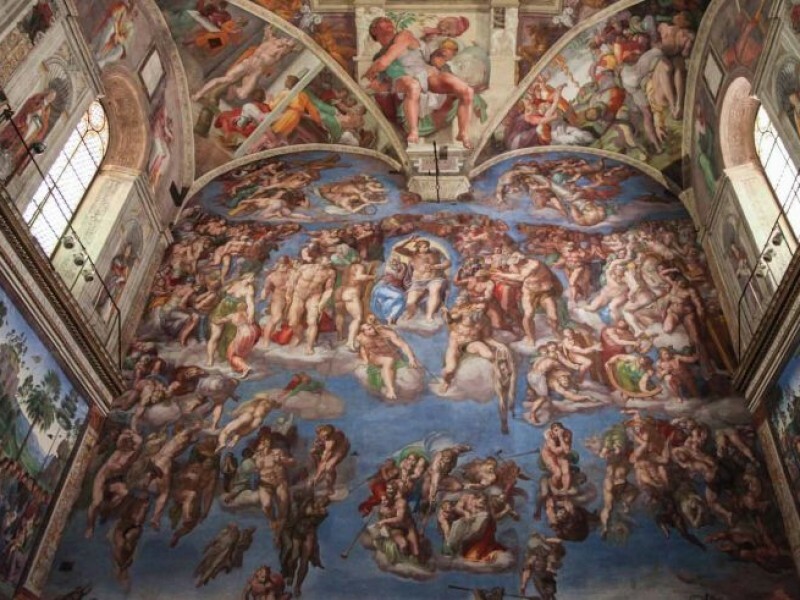 Our VIP Vatican Tour uncovers the meaning of the figures of Jonah, Adam, Eve, Noah and thousands of others on the ceiling of the Sistine Chapel and in the Last Judgement, revealing the ideals of Michelangelo and of the Renaissance. Then you will understand how and why these frescoes have changed for ever not only art, but the way in which we look at the world. This was a period of overwhelming enthusiasm and of amazing innovation. The men of the Renaissance didn't merely dream of changing the world - they really revolutionised it. The printing press, the geographic maps with which Columbus reached the Americas, modern science, architecture, art and the sense of beauty (a concept demonized in the Middle Ages), all these were their creations. 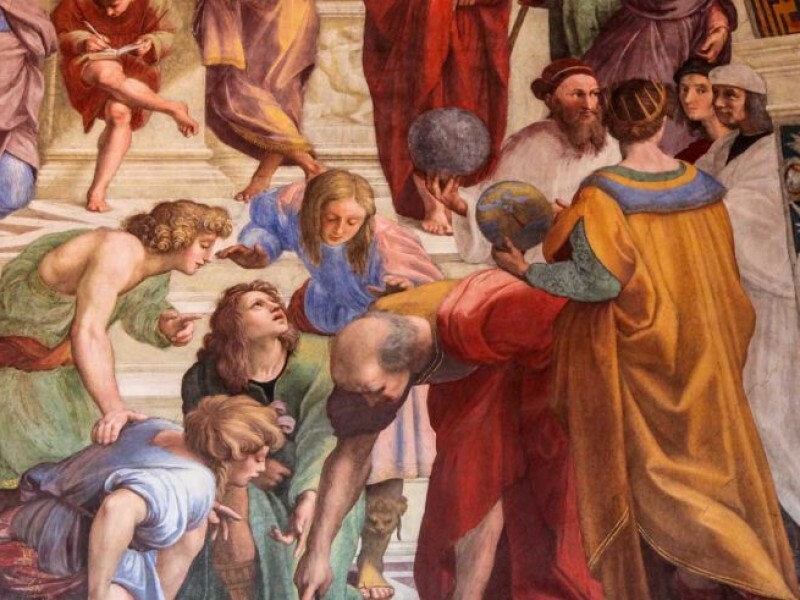 The frescoes of the Raphael rooms perfectly depict the world of the contemporary courts that governed the course of this new world and where the great geniuses of the age called home. The cultured conversations fueled by the wine of sumptuous banquets, the statues brought to light by a frenzied passion for excavations, new fashions, and above all new ways of thinking and living, are marvellously recreated by Raphael with the perfect touch of his graceful brush. On this Vatican private tour we will have the opportunity to experience this amazing world in the flesh. Indeed there is an entire world to discover here, a world of which we ourselves are the children. 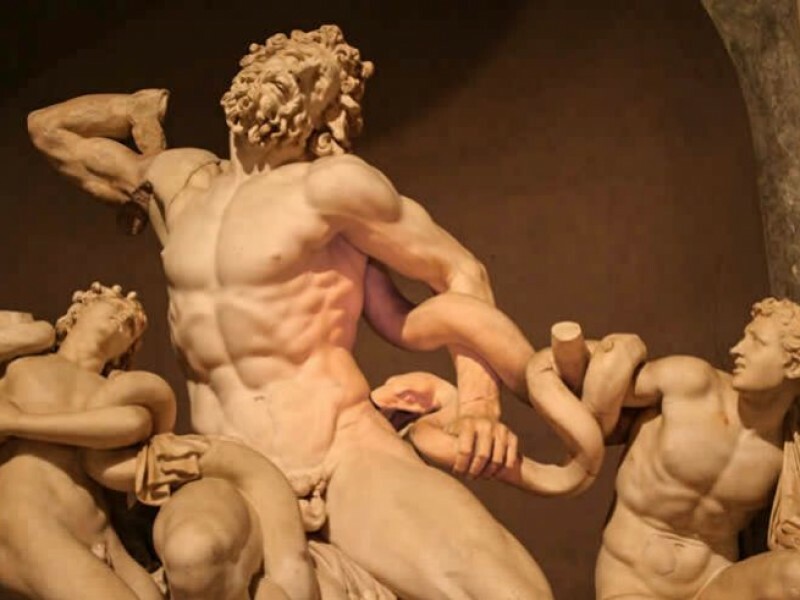 Some of the the most important works that we will discover, such as timeless Greek masterpieces like the Laocoon, the Belvedere Torso and the Apollo Belvedere, were excavated at the time of Michelangelo and Raphael, who studied and admired them in the same architectural context in which they are preserved today. The artworks that they created are the fruit of their careful study. And so we too will pass through the Pinecone courtyard, the Belvedere courtyard and the tapestry galleries, discovering a selection of masterpieces with a guide capable of recreating the climate of the epoch, helping you to appreciate the Raphael Rooms and the Sistine Chapel in their historical context. Some of the finest paintings of the Vatican Museums are collected in the Pinacoteca, still ignored by most tours. In this tranquil part of the Vatican museums it is possible to appreciate the explosive force of Leonardo's Saint Jerome and the spectacular realism of Caravaggio's Deposition, an artist of absolute and ungovernable genius. We will also encounter Raphael's Transfiguration, a work that would be his last when, struck by a terrible fever, he died at the height of his fame at the tender age of 37. 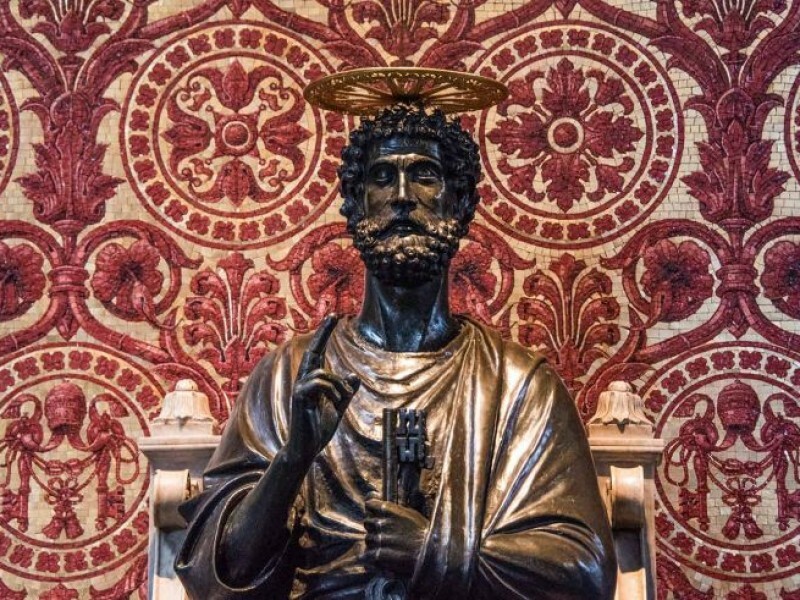 This part of our guided visit will bring us to the heart of the Christian faith, and along the way we will discover an incredible collection of relics and religious tokens that have accumulated here over the course of nearly 2,000 years at the site of St. Peter's tomb. Our Vatican group tour is optimized to allow you to experience these amazing objects in their original context. At the same time you will have the chance to admire and understand enchanting works of art such as Michelangelo's Pietà, a work whose intimate embrace overflows with such tenderness that it can move even the hardest viewer to tears. 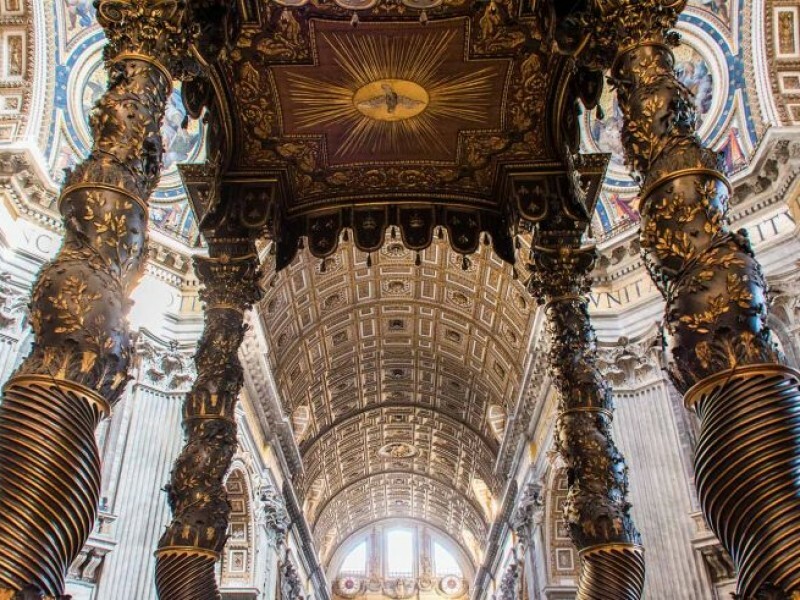 The masterpieces of Bernini, the great genius of the Italian Baroque, also dominate St. Peter's, and the spectacular eponymous piazza dazzles with astounding optical effects. It is here that the faithful have gathered for centuries to celebrate the great events of Christianity, from the election of new popes to solemn masses. We will bring you here to read a history that will also become our own, a history lived by the protagonists of our fascinating Vatican private tour itineraries. The Basilica of St.Peter's may be subject to unscheduled closings and late openings for religious ceremonies. Because these are often last-minute for security reasons, we do not have time to notify our guests. We will provide you with a complete experience by exploring the Vatican Museums in more detail. Therefor we will not provide any refunds. The Vatican Museums are vast and contain numerous steps and stairways. Comfortable shoes and a bottle of water are strongly recommended. I met the crew of Through Eternity Tours at the New York Times Travel Show in January 2019 and soon after booked a private tour of the Vatican. It proved to be the absolute highlight of our 2 week European vacation. Our guide Cinzia was incredibly knowledgeable about everything we experienced and delightful company to boot! Her understand and interpretation of what we were seeing added amazing depth and context to the experience. The 5 hours flew by quickly and yet we feel as if we had a grand introduction to the wonders of the Vatican - thanks to Cinzia and Through Eternity! There's a reason we continue to choose Through Eternity as part of our church's annual Christian History trip to Rome. This was our 10th time to use Through Eternity for our Vatican Museum/St. Peter's tour. Once again, it was a highlight of the week! Thanks for your positive customer service and competent, professional guides.